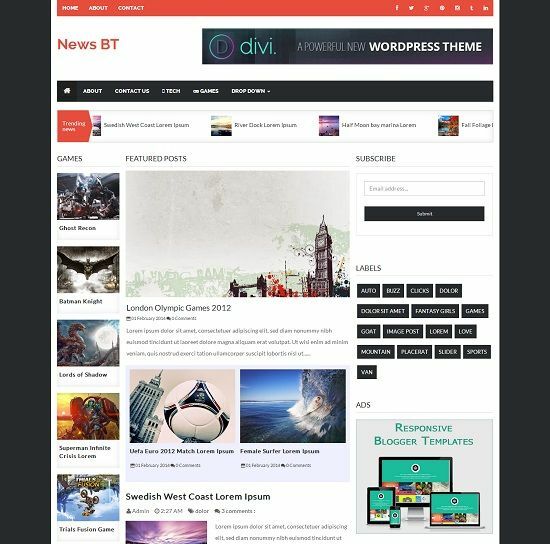 NewsBT is a responsive free blogger template with plenty of features. 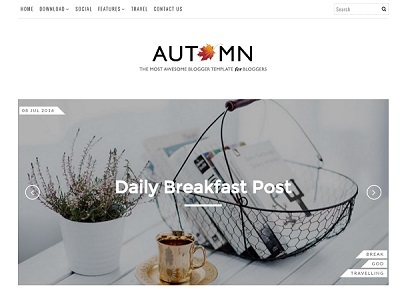 This template has 3 column layout, 4 column footer, comes with custom widget(recent posts, news ticker etc) and many color schemes to choose from. 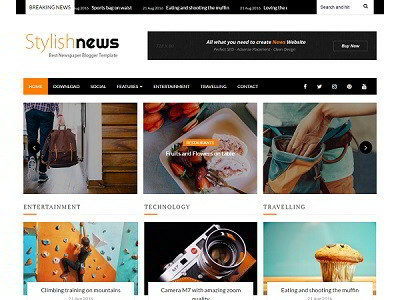 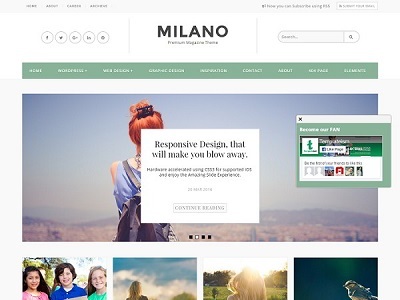 Best suitable for online magazine, news, gallery, tech and blogging sites.